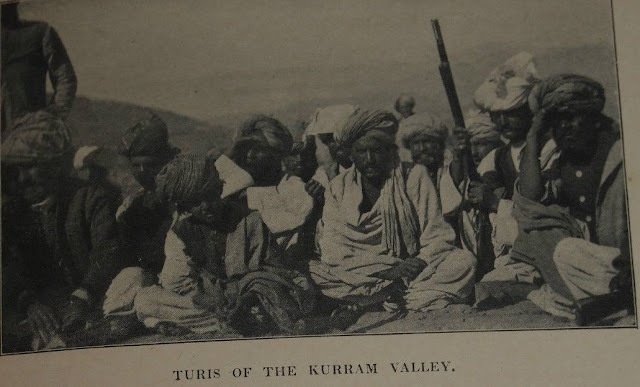 The Turi tribe, hold the tract known as Kurram on both sides of the stream of that name , lying north of Khost and south of Koh-i-Sufaid. There is some doubt as to the lineage and race of this tribe and the Jaji . 1- The Turis themselves have two stories as to their origin, one of which is that they were formerly settled in Persia, but, troubles breaking out, Toghani Turk, the common ancestor of the Turis and Jajis, fled eastward and eventually settled at Nilab ; while the other story states that they came originally from Samarkand to Nilab. 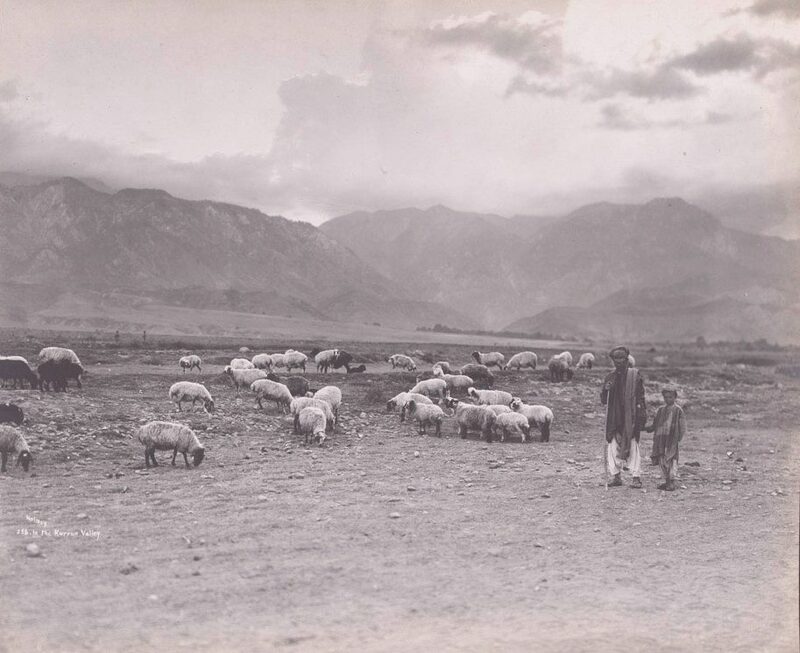 Both of these stories, though differing as to the original habitat of the tribe, are agreed that the tribe claims descent from a Turk, named Toghani. The "Badshah-nama" refers to different tribes which joined in the attack on Peshawar and calls the Afghan tribes as 'Ulus' but the Jajis and Turis are mentioned as 'Imak'. Both are Turkish words, but while 'Ulus' has been commonly used for the Afghan tribes, 'Imak' is never used except for the tribes of Turk descent. The distinction points to their Turkish extraction. Kurram which is wholly irrigated by the stream of the same name that flows through it, was formerly in the occupation of Bangash, from whom the Turi took it by force. Many Bangash are still found living in subjection to the Turi in Kurram, and the Buwalimin of lower Kurram are considered a branch of Bangash. During Amir Sher Ali's reign, Kurram was governed by Amir's half brother Wali Muhammad Khan, whose mother was a Turi, from 1869 on. 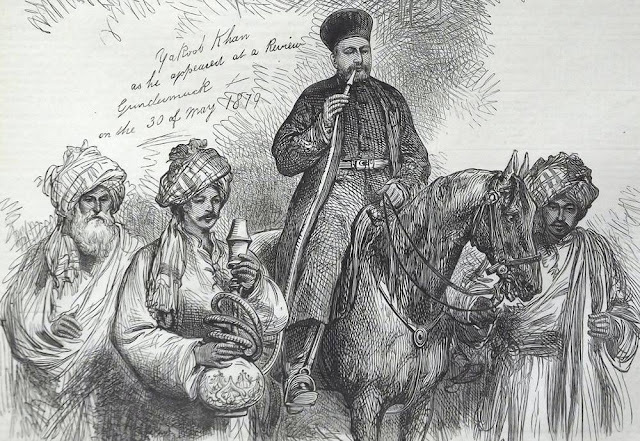 In 1876, Wali Muhammad Khan was dismissed from the governorship of Kurram, due to complaints of the maliks of Kurram. A Turi, 1827-1843. By Imam Bakhsh Lahori, Illustrations des Mémoires du général Claude-Auguste Court, Lahore.